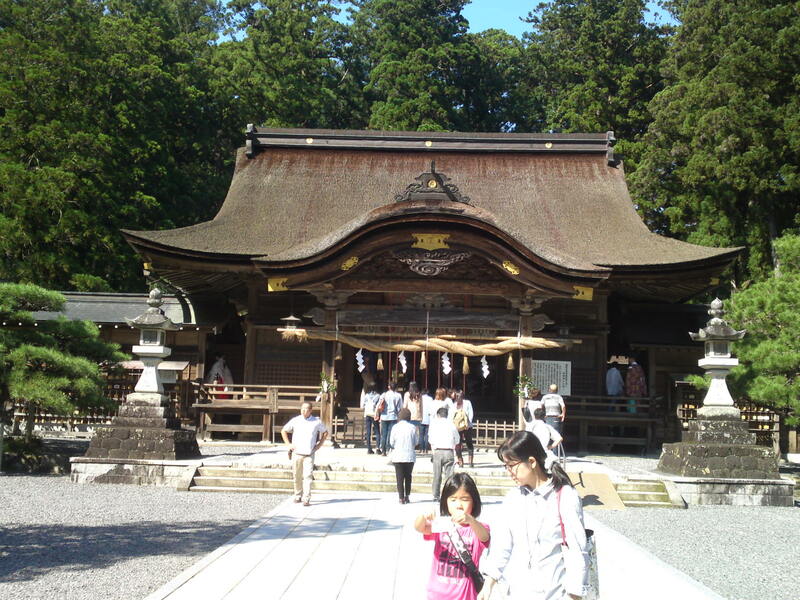 Okuni Shrine (小国神社) in Mori machi, Hamamatsu City! 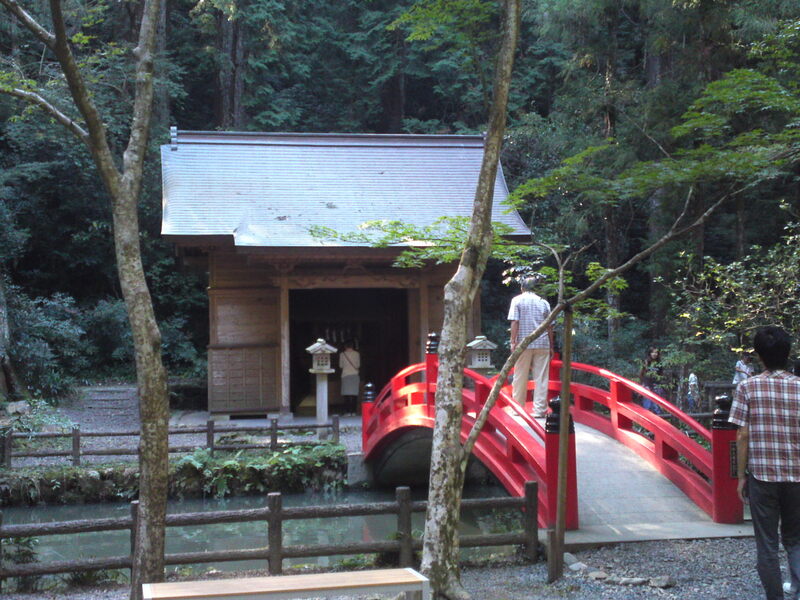 Okuni Shrine (小国神社）is on of the four major Shinto Shrines in Shizuoka Prefecture although its locatin is not that practical. 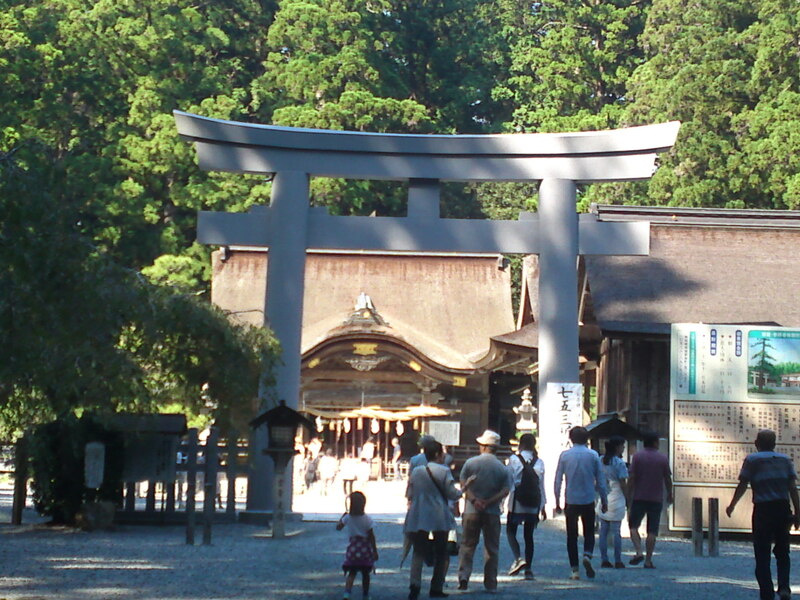 The first of a few torri gates! 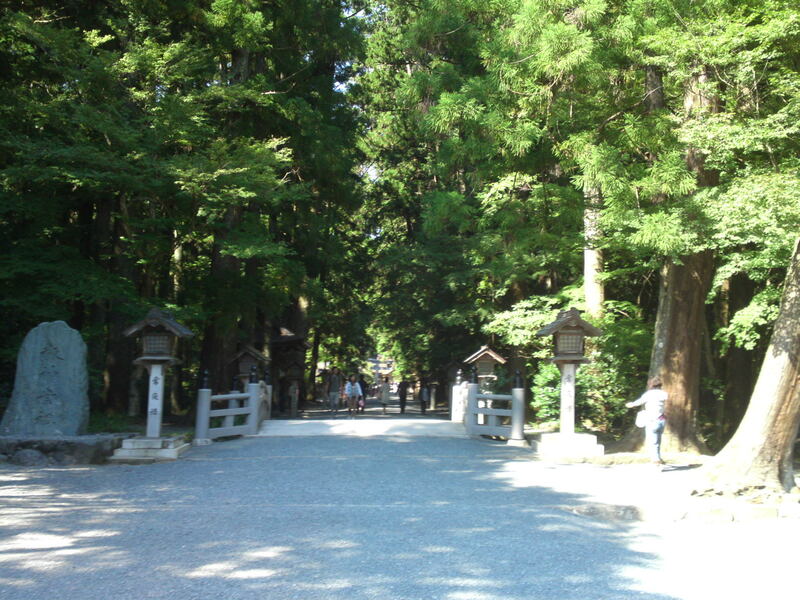 If you are not motorized one way to access and make it a worthwhile trip is to board the Tenhama/ Tenryuu Hamanako Railway Line/天浜線 and get down a t small station called Tootoumi Ichinomiya/遠江一宮 and take a free limousine to the Shrine! 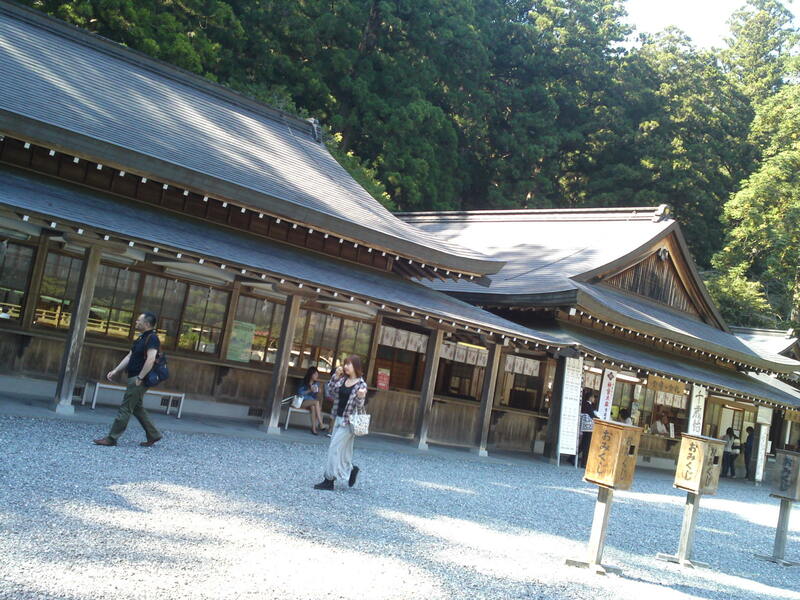 Bear in mind there are only few during the day so plan your trip t start early in the day! 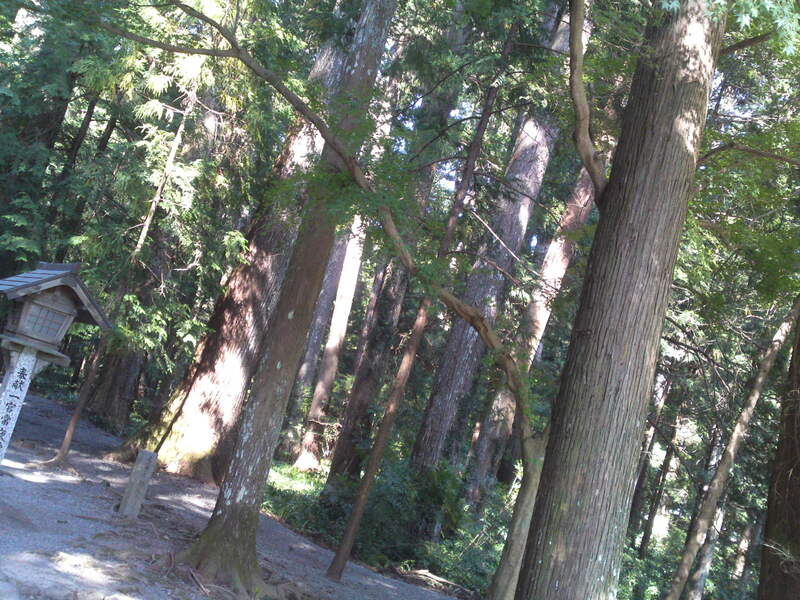 It is located in the mountains all with a deep forest and river! 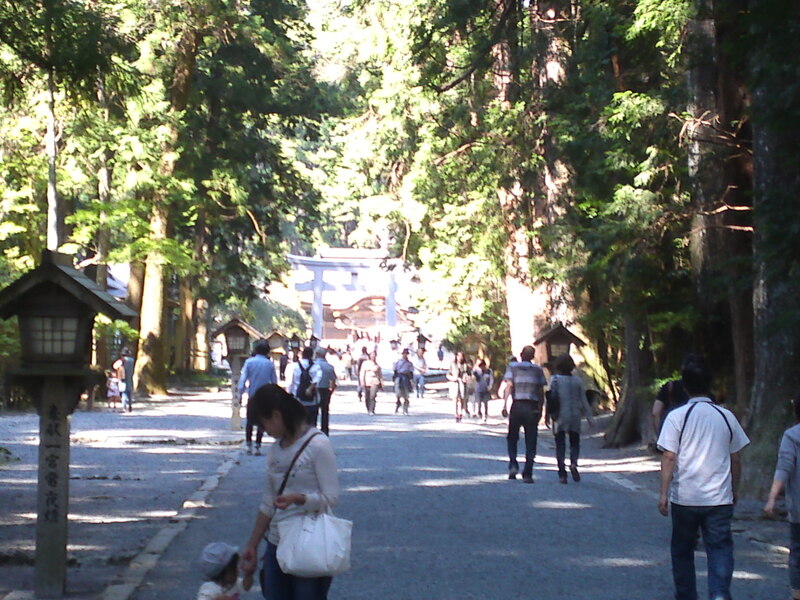 The lane leading to it is lined up with beautiful tall cedar trees! 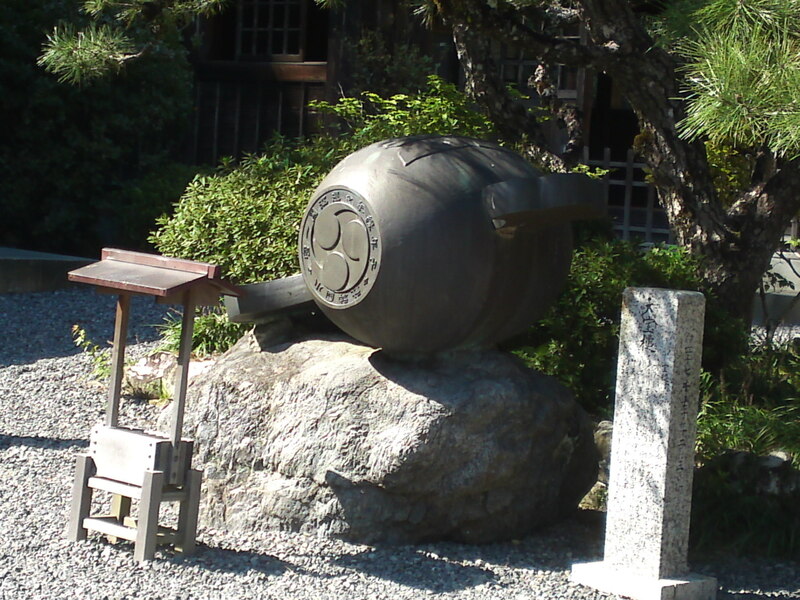 The large roofed hand-washing stone basin! 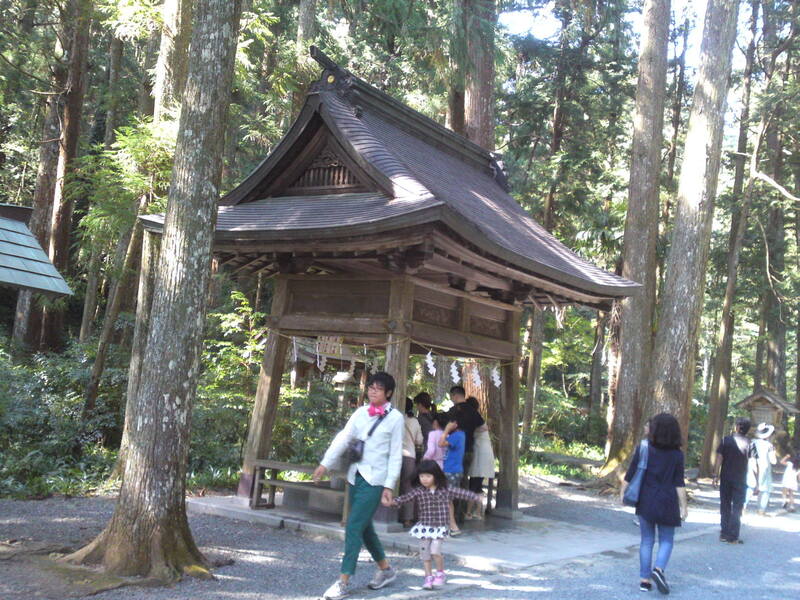 Better come on a weekday as weekends can be crowded! 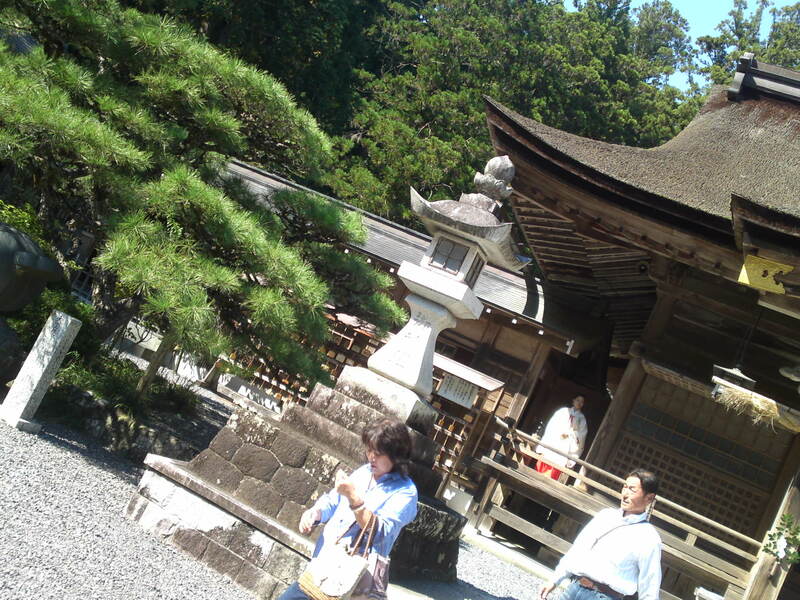 One can discover smaller shrines along the entry lane and all arund the main shrine! 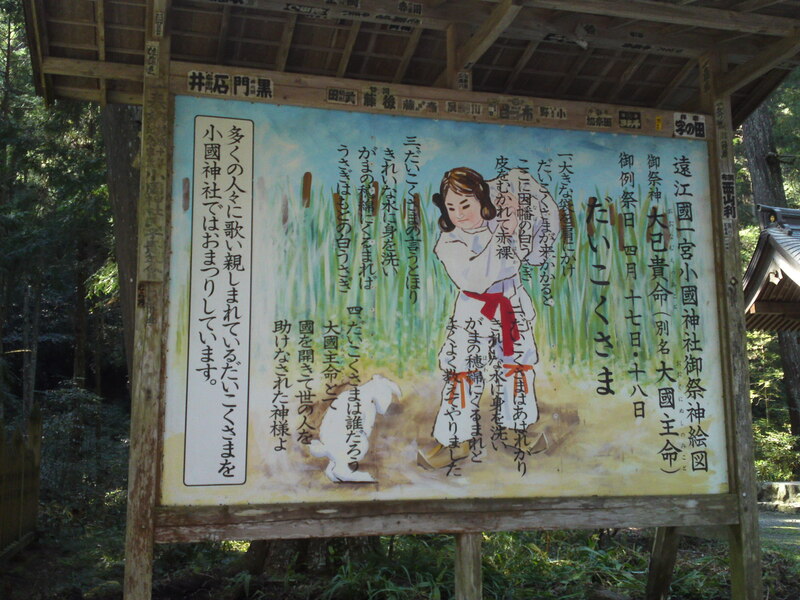 This board depicts the legend of a rabbit admonished by a deity! 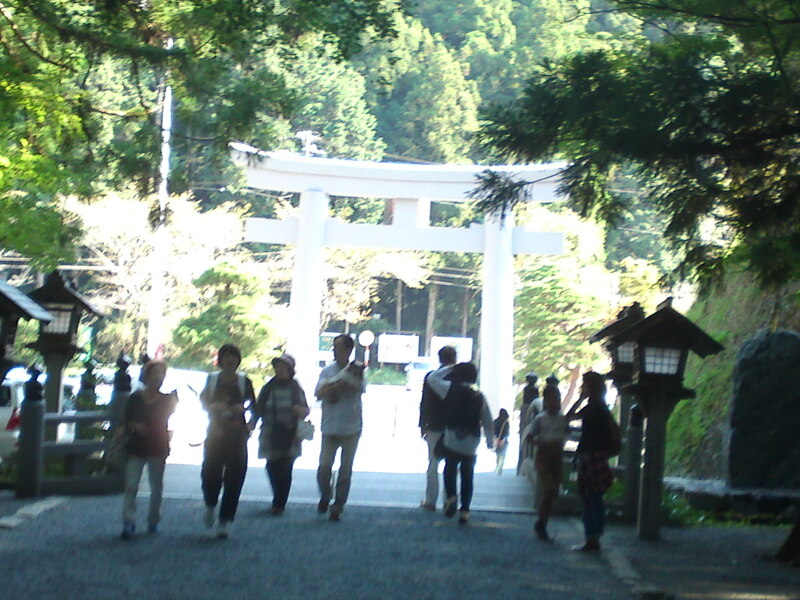 Reaching the last torii gate! 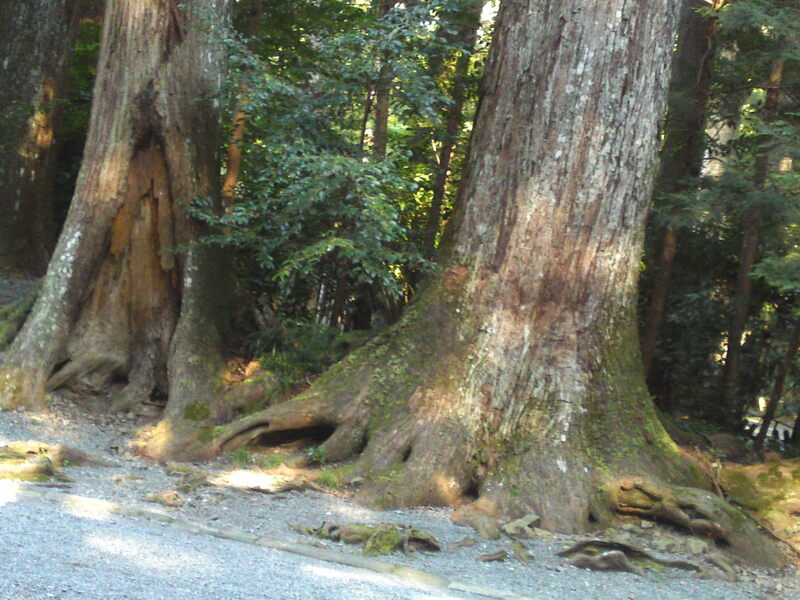 Now, these are very interesting vestiges of an old dead sacred tree! 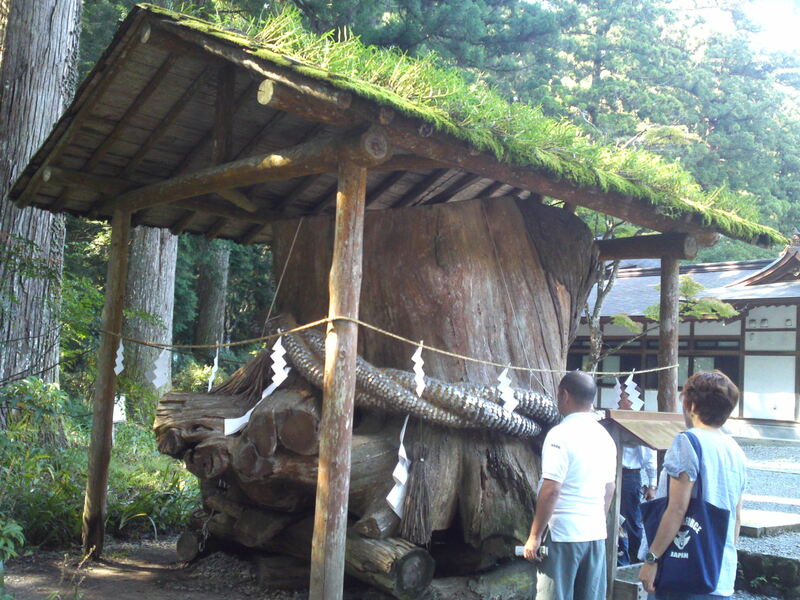 It might be dead but its history is preserved and people venerate it in a very unusual way! 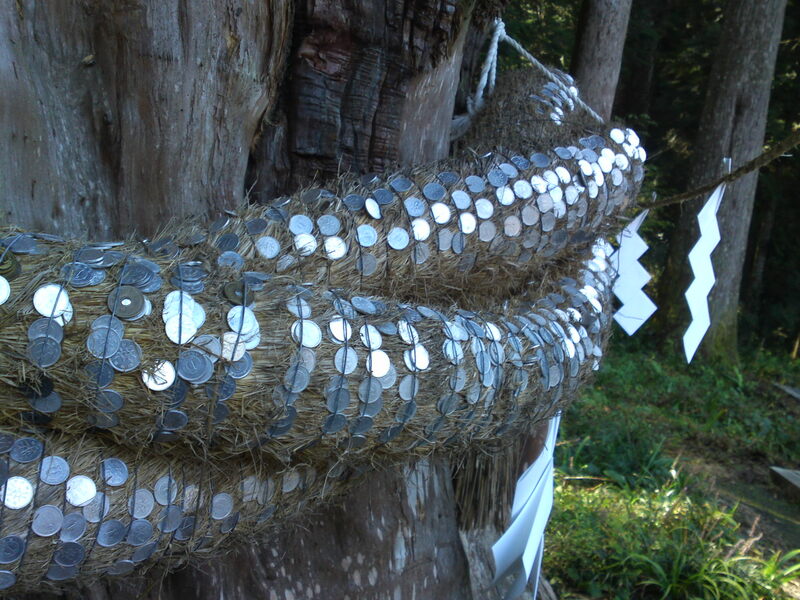 People insert one-yen coins offerings in its bark or rice straw garand! 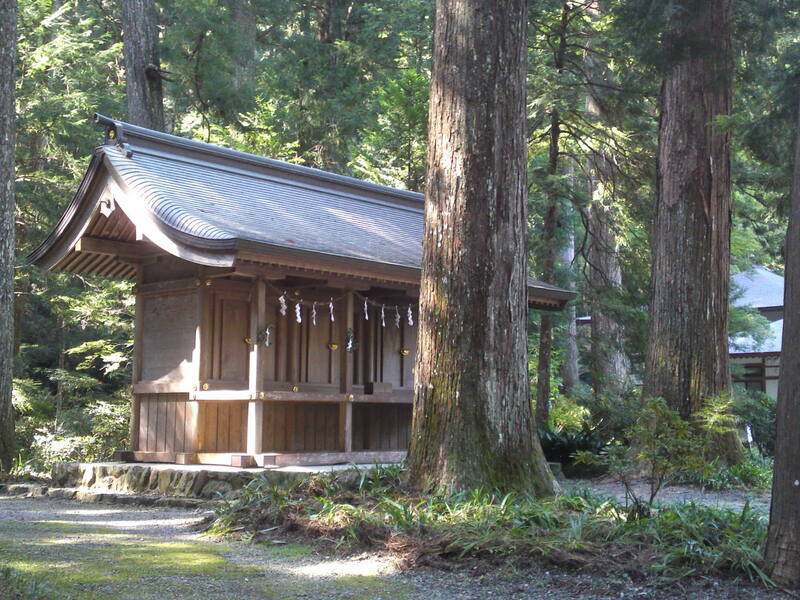 The shrine “offices” where worshipers can buy souvenirs or talismans or consult their fortune! 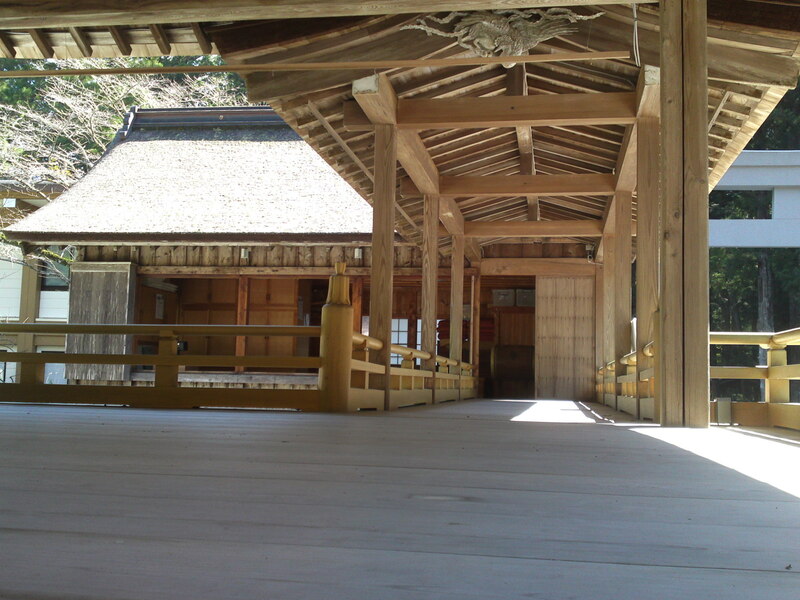 This side building is actually a Noh theater stage! A peek at the stage! 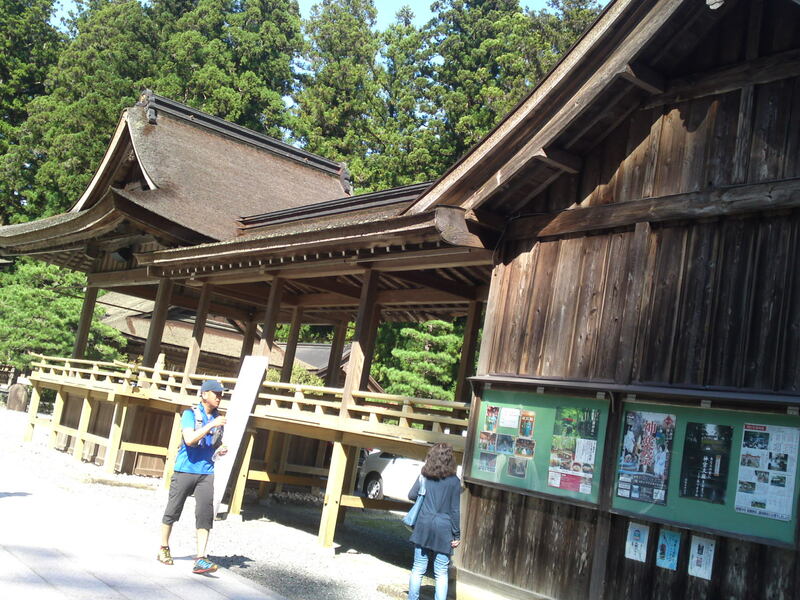 The main shrine or “haiden”! 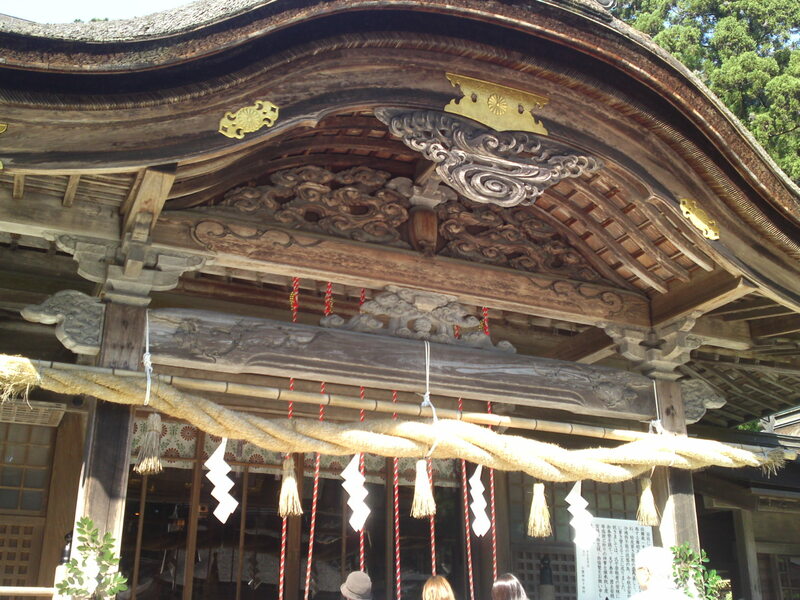 One of the big stone lanterns! 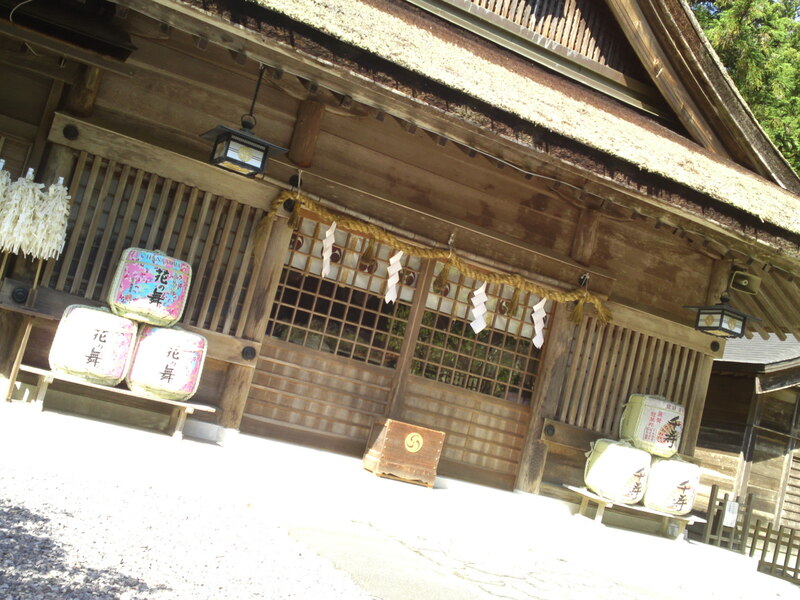 The rice straw garland and the many prayer bell ropes! 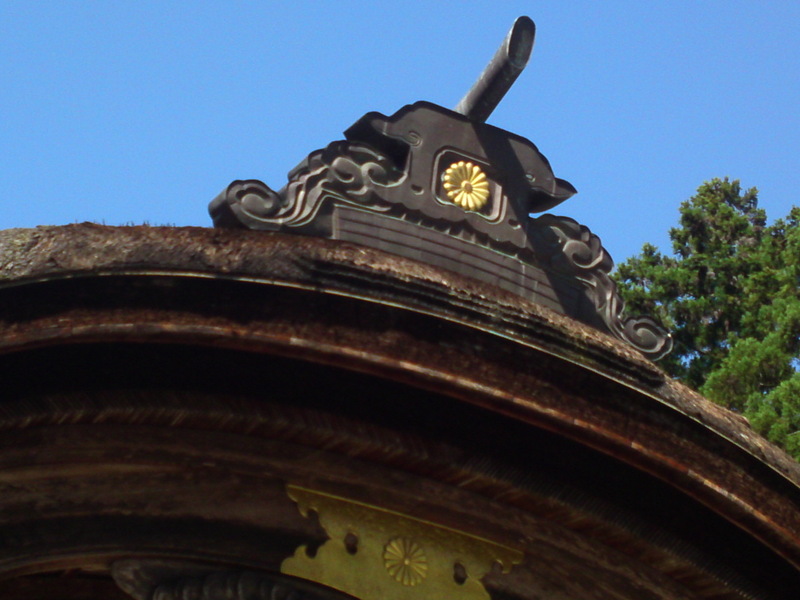 A pinion with the Emperor’s crest! 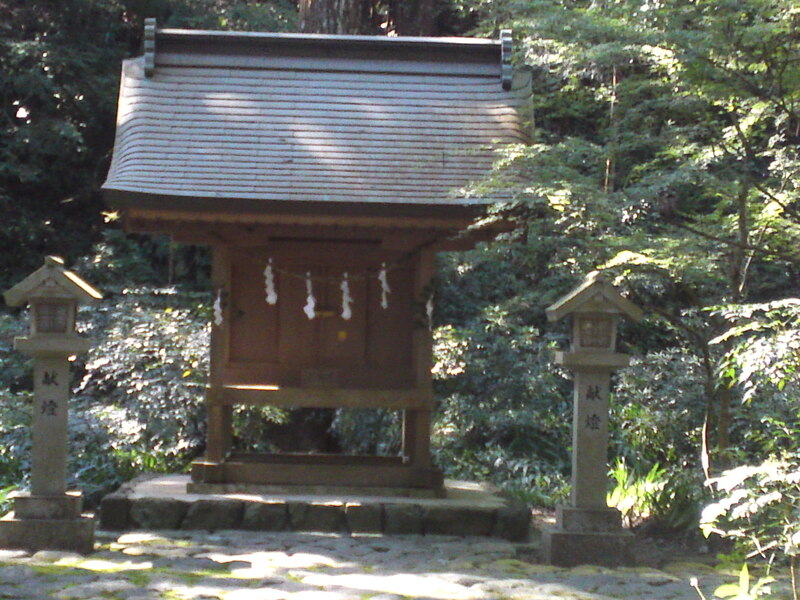 An older shrine beside the main Hall! 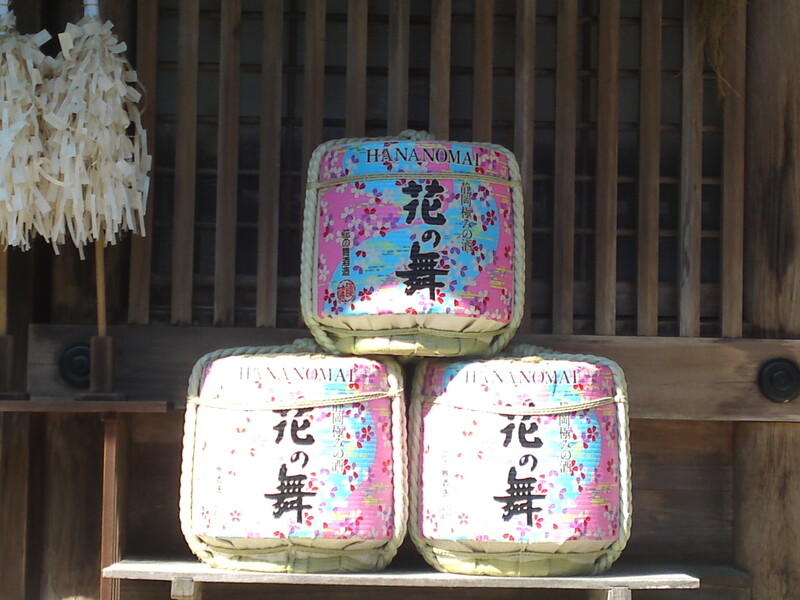 Sake barrel from Hana No Mai Brewery in Hamamatsu City! 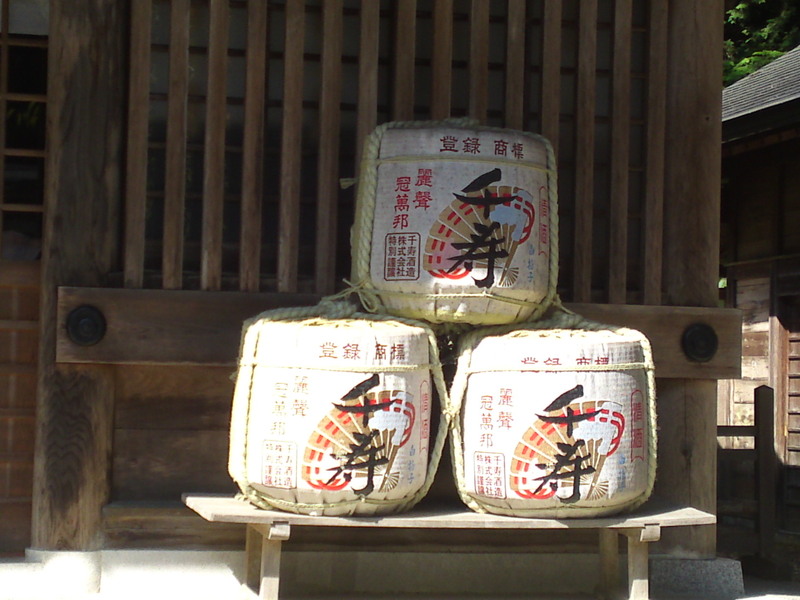 Sake barrels from Senjyu Brewery in Iwata City! 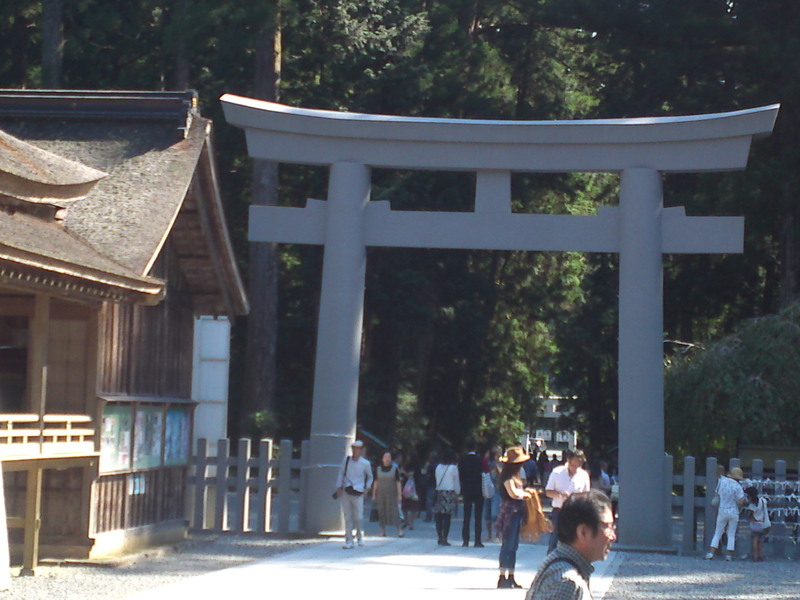 The torii gate to one of the many side entrances! 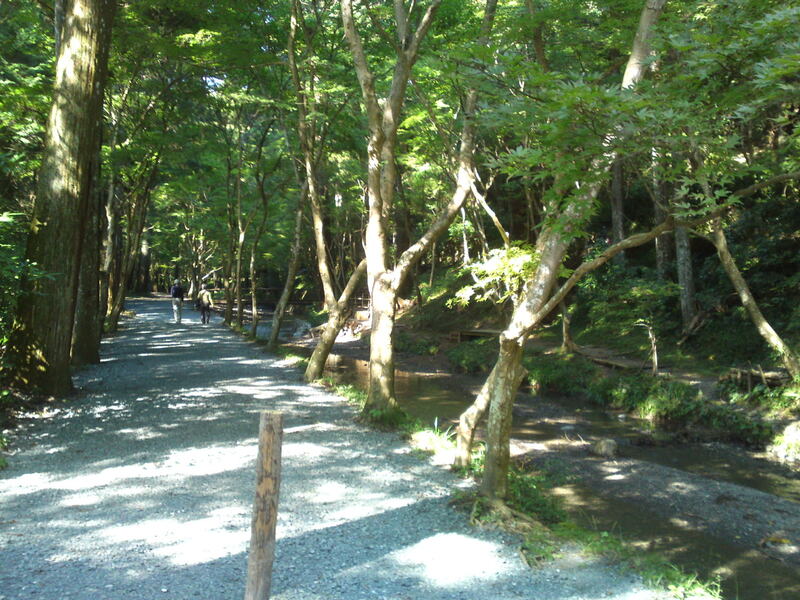 You will discover some interesting promenades through the surrounding forest! 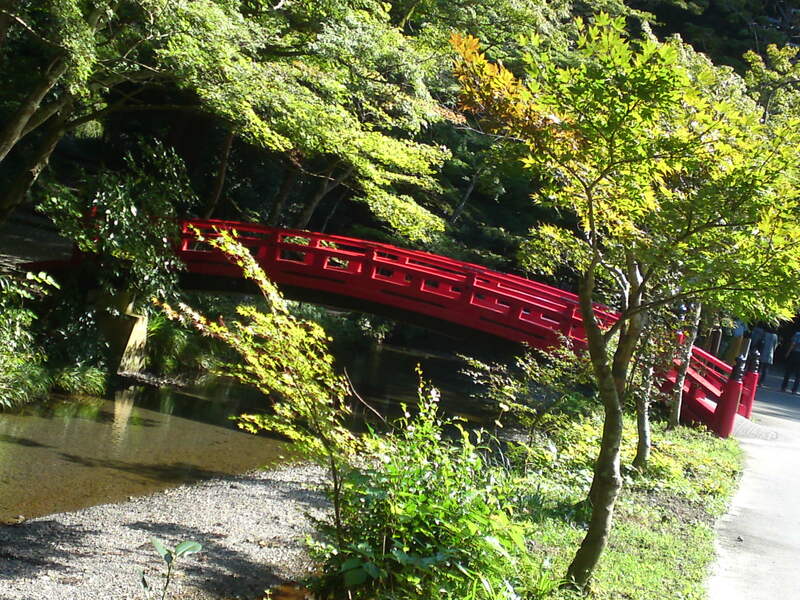 Beautiful bridge over a pond to another small shrine! 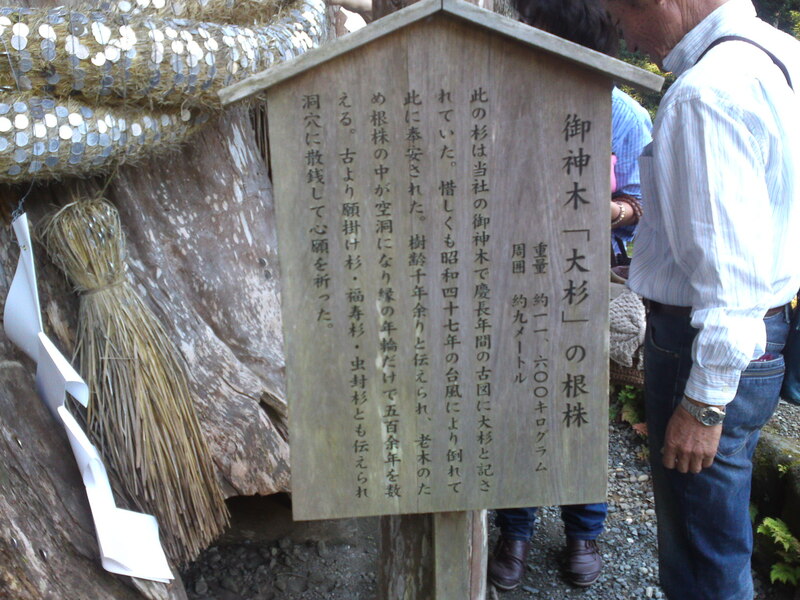 Previous PostShizuoka Craft Beer: Aoi Brewing-IBUKI (2nd batch)Next PostShimizu Fish Market (清水魚市場) in Shimizu Ku, Shizuoka City! 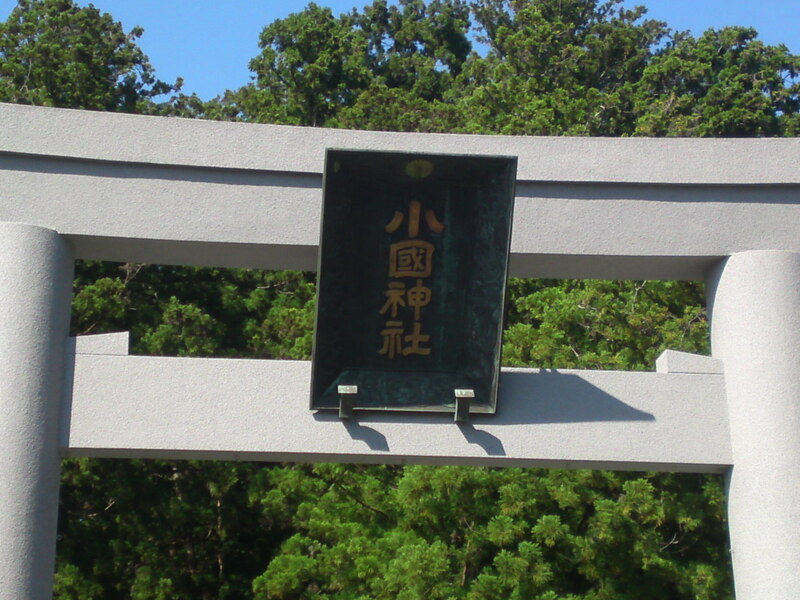 Agreed, a wonderful shrine. I went there a few years ago, remember buying a very good, reasonably-priced umbrella, which I still use!